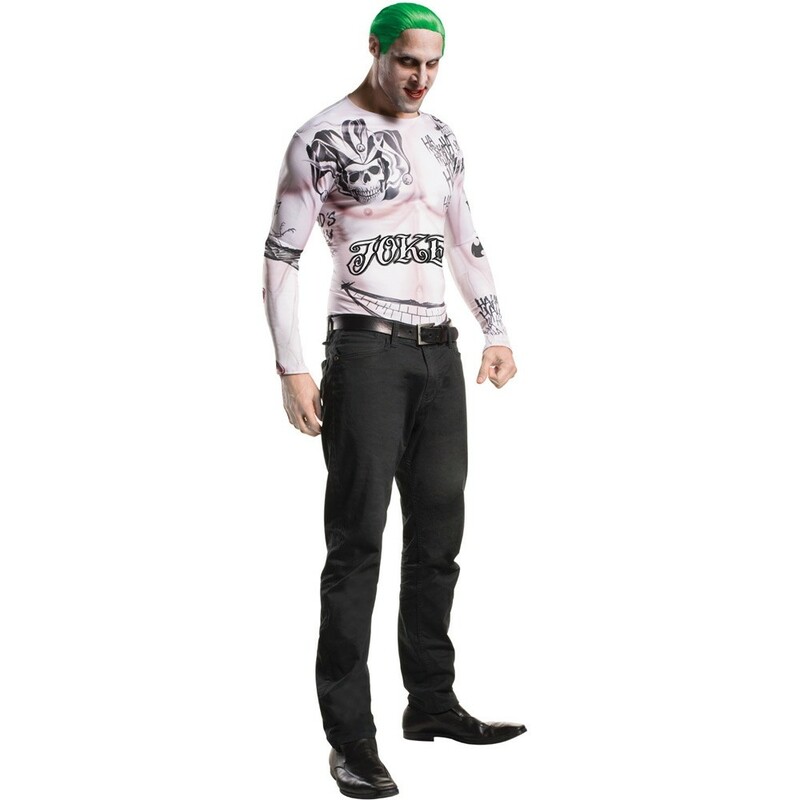 Suicide Squad Joker Outfit - Join the team of some very bad people that can do some good: the Suicide Squad! With one eye on Harley Quinn and another on your deadly mission, here's your chance to play one of Gotham's darkest characters in this Suicide Squad Joker Outfit! A top, wig and make up.